♥ Sweet Glamour Makeup ♥: THE MAKEUP SHOW ORLANDO 2012 EXPERIENCE AND PHOTOS! 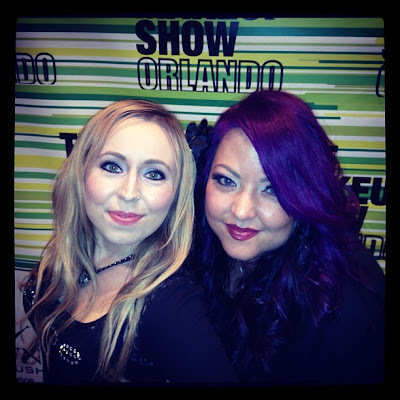 THE MAKEUP SHOW ORLANDO 2012 EXPERIENCE AND PHOTOS! I must tell you all about my awesome opportunity I had to go to The Makeup Show Orlando! It's a Pro industry event if you aren't familiar..They have seminars and different hands on classes if you choose to take them. This was the first year they've had it in Orlando,normally it's in L.A.,NYC.. I suppose you could say it's a smaller scale version of IMATS L.A. which I've always wanted to go but haven't had the chance yet. They had so many vendors and brands there;selling cosmetics and supplies at a 40-60% discount price,although some products weren't really marked down too much. I solely went to SHOP! I would've liked to take some of the seminars but most were sold out anyways. 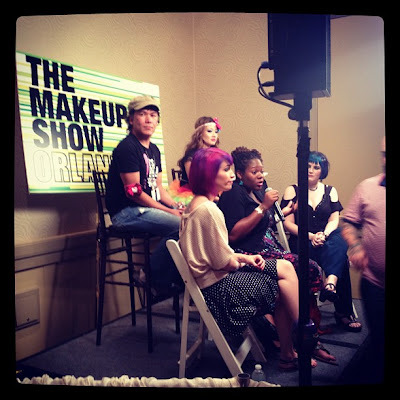 I met up with a bunch of my fellow makeup artists friends,it was so much fun! Me with my makeup artist friends! 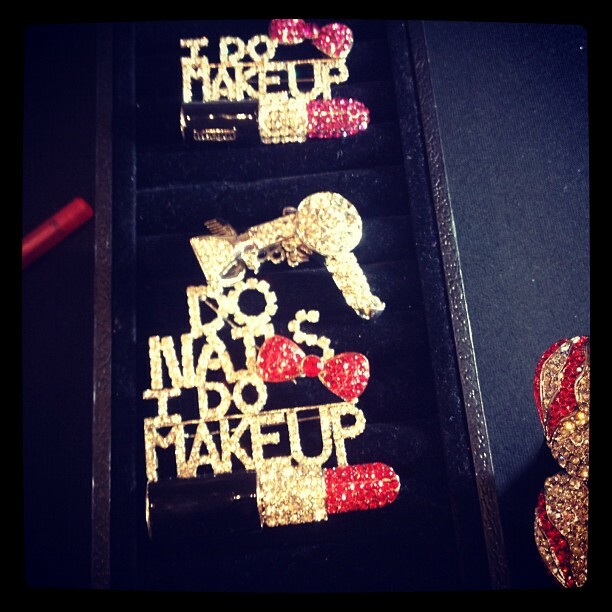 Amazing artistry at Make Up Forever. The highlight of the show for me..meeting Koren and Elessa Youtube Celebrities!! 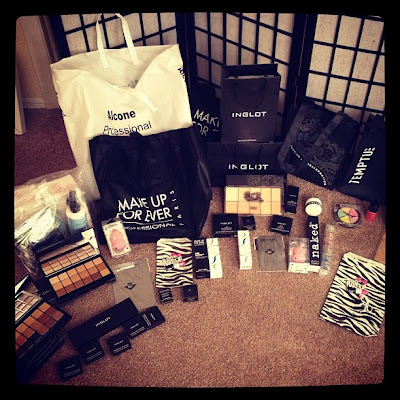 Makeup Haul for me and a friend! Cute pins and accessories at PurseBuzz's booth! 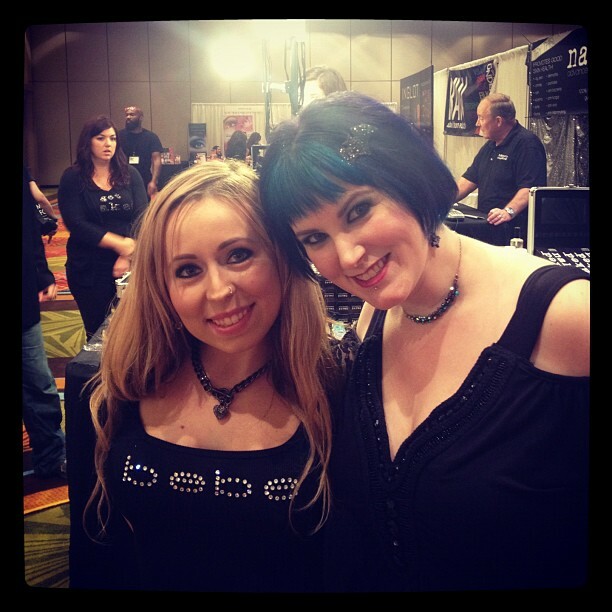 Me & Phyrra! I've actually met her before,she's really sweet!! They were talking about how to become successful at Youtube and Blogging. 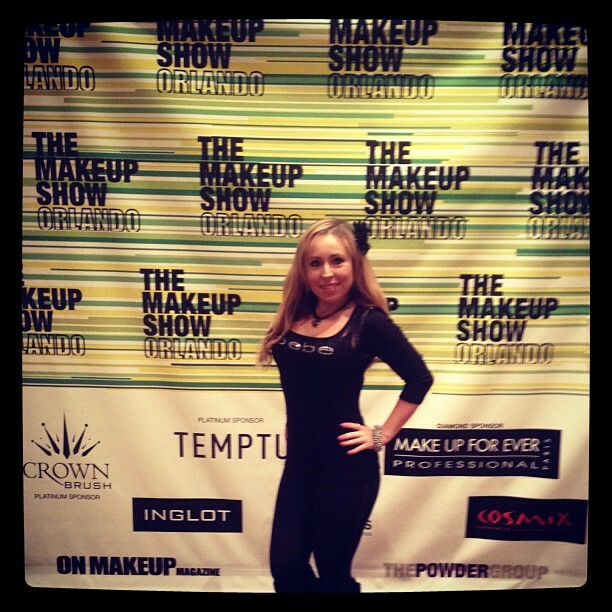 I really loved the Inglot,MUFE,and Naked Cosmetics booth..there was so much selection and variety! I will do a seperate post for my makeup haul and also a new Youtube video as some people have requested..it's been quite awhile! 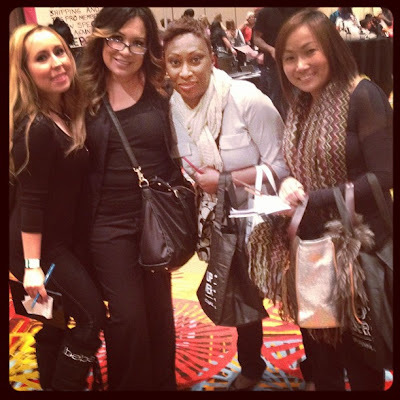 Have you ever been to a makeup show? What did you love about it?